There are 268,400 restaurant and food service jobs in the state of Colorado, with another 35,800 jobs expected by 2026. Revenue is expected to top $11.6 billion this year, making the industry a significant contributor to Colorado’s economy. With the expected growth and increase in sales, the demand for culinary professionals is on the increase. Earning a degree or credential in culinary arts can help you get your foot in the door or work your way up the career ladder in this exciting industry. Colorado has many culinary schools that are prepared to meet the demand for highly skilled culinary professionals. We created a list of the top 10 best culinary schools in Colorado. Schools that made our list offer professional development opportunities, hands-on programs, a wide variety of coursework, and professional level instruction. Many programs are also accredited by the American Culinary Federation, an indicator of academic rigor. The International Culinary School at the Colorado Institute of Art is a top culinary school offering a variety of culinary programs designed to meet the needs of up and coming culinary professionals. Whether your career goals include becoming a pastry chef or managing your own restaurant, the Colorado Institute of Art can help you by offering highly trained faculty, state of the art facilities, and internship opportunities in a variety of locations around the world. Students spend time in a culinary laboratory practicing their skills and can demonstrate what they have learned by preparing and serving food at special events on campus. Students in the Culinary Arts program learn over 20 different international flavors and techniques, allowing them to be creative and flexible in the kitchen. Culinary Management students learn how to run a successful kitchen and dining room that can be pleasing to customers and stay within budget. Baking and Pastry students learn to prepare delectable treats in a state of the art commercial kitchen. Students can earn their diploma in under two years, and their degree in just four years. Pikes Peak Community College offers both certificate programs and an AAS degree option for students who want to pursue education and training in the culinary arts. This top culinary school features four different emphasis areas for students who pursue their AAS degree. Students can focus on Baking and Pastry, Culinary Arts, Food Service Management, and Sustainability Management and Dietary Cuisine. An internship experience is required as part of the AAS program to allow students to gain professional experience in the field before they complete the program. Students who are interested in completing a certificate program can select from Baking, Basic Skills, Culinary Arts, and Food Service Management. These programs offer both basic and advanced training in specific areas of focus to allow students to complete their education and enter the job market in less than 18 months. Pueblo Community College offers three different AAS Degree culinary programs in Culinary Arts Production, Culinary Management, and Hospitality Studies. These programs can be completed on either a full time or part time basis during the day or in the evening. The low student to faculty ratio (12:1 in most classes) ensures that students receive individualized attention throughout the program. Students can begin the program at any semester during the year and can typically complete the program in seven semesters of full time study. Students learn a variety of skills including sanitation, hot and cold food production, baking, garde manger, and cost control. An internship experience is required as part of the program, which can lead to offers of employment. Faculty have over 220 combined years of experience in all areas of the industry, making Pueblo Community College one of the top culinary programs in the nation. Auguste Escoffier School of Culinary Arts in Boulder, Colorado offers two different diploma programs including Culinary Arts and Pastry Arts. Students learn a variety of culinary and pastry skills in a hands-on environment which allows them to practice their techniques in a supervised setting. Faculty are highly trained in both classical and modern cuisines, and share their expertise with their students. This top culinary school is located less than an hour from Denver and features a vibrant restaurant scene and organic food industry. Auguste Escoffier School of Culinary Arts has received a Recognition of Quality Culinary Education from the World Association of Chefs Societies. Colorado Culinary Academy offers three professional culinary programs that can be completed in less than five months. The Baking and Pastry Fundamentals program teaches students French pastry skills that will make them successful in the pastry and baking field. Students study chocolate, cake decorating, and artisan breads. This program can be completed in just eight weeks, and small class size ensures that students receive individualized attention by faculty. Culinary Foundations students are immersed in a twelve-week program, cooking and preparing meals from the day they enter the classroom. Students learn to apply French techniques to a variety of global cuisine. The Classic Culinarian Program is a 20-week program that combines both the Culinary Foundations coursework with the Baking and Pastry coursework. Students complete the program with the skills needed to work in either segment to make students all around culinarians. Colorado Mountain Colleges offers one of the most diverse culinary programs in the state, with a variety of certificate and AAS degree programs at various campus locations. The Culinary Arts Apprenticeship AAS program is a blend of traditional culinary arts coursework with a European style apprenticeship. Students learn the professional skills and techniques through on the job training to be successful in the field. The Culinary Arts AAS program, offered in Vail Valley, features hands on coursework and an internship opportunity in one of the area resorts. The AAS Degree in Restaurant and Culinary Management trains students in both culinary arts and management skills such as budgeting and purchasing. The program is in Steamboat Springs and features a brand new commercial kitchen. Certificate programs are also offered in Culinary Management and Restaurant Management. The Red Rock Community College Culinary Program offers several different culinary programs through the Rocky Mountain Chefs of Colorado. The Chef’s Apprenticeship Program allows students to complete on the job training while completing coursework through a three year European style dual apprenticeship. Students receive payment for the time they spend working (full time) with the “earn while you learn” philosophy. Rocky Mountain Chefs of Colorado also offers an Introduction to Culinary Arts Certificate and Certificate in Culinary Arts. The Culinary Arts Certificate is a 57-credit hour program that includes three internship opportunities in addition to a variety of course offerings in baking, nutrition, garde manger, and food safety and sanitation. The Intro to Culinary Arts Certificate is a six-credit hour program that includes basic food production principles, menu planning, and food safety and sanitation. This top culinary school features a state of the art kitchen laboratory and a low student to faculty ratio. Western Colorado Community College is a division of Colorado Mesa University offering both an AAS in Culinary Arts and a Certificate in Culinary Arts. Students learn in small lab settings with a student to faculty ratio of about 16:1. Faculty members are experienced in the field and include business owners, managers, chefs, and bakers. Courses are taught in a modern culinary commercial kitchen, allowing students to practice their skills using the same equipment they will find in the workforce. Students can begin their study in either the spring or the fall semester, providing flexibility and work-life balance. Chez Lena Restaurant is an on campus full service restaurant where students can prepare and serve meals to the public with fresh, local ingredients. 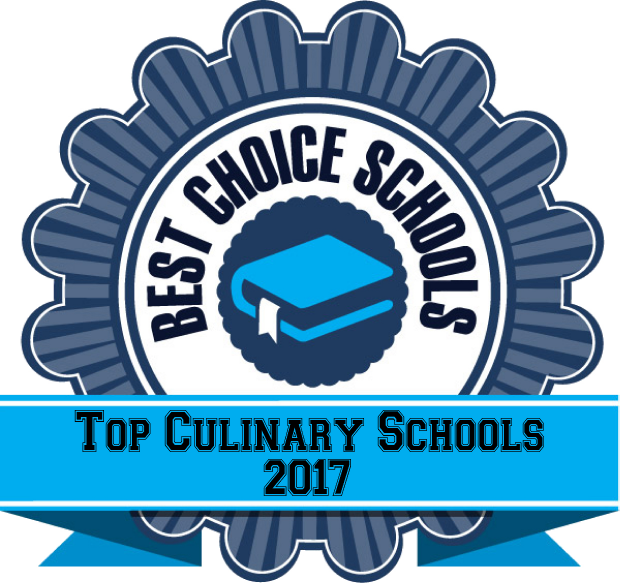 This top culinary school is ideal for students who want to pursue a career as a certified culinarian, executive or pastry chef, or restaurant owner/manager. Emily Griffith Technical College, in Denver is a top culinary school offering both an AAS in Culinary Arts and a Food Production Worker Program. The program features hands on training in the on-campus restaurant, Emily’s Café. Students can prepare and serve meals, mastering their culinary technique. This integrative program includes field trips to area restaurants and food service establishments as well as the chance to hear guest speakers who are experienced in the industry. Coursework in the AAS program covers areas of study such as baking, cooking techniques, front of the house planning, cost controls, and line prep and cookery. An internship experience is part of this exciting program. Johnson and Wales University is a leader in culinary education offering many different programs including an AS in Baking and Pastry Arts, BS in Baking and Pastry Arts and Food Service Management, BS in Culinary Arts and Food Service Management, AS in Culinary Arts, BS in Culinary Nutrition, and BS in Restaurant, Food and Beverage Management. Students learn the science behind cooking, allowing them to be creative in the kitchen. Faculty integrate professionalism, presentation techniques, and production methods into each culinary course. Kitchen labs are state of the art and have the latest culinary equipment. Internship opportunities are offered in both AS and BS degree programs to allow students to gain work experience and network with other professionals in the industry.